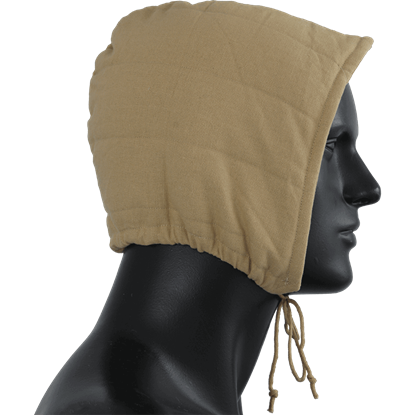 Arming caps are a must if you are going to wearing a steel or leather helmet all day. Not only do they help by making it more comfortable, it will make the fit better and prevent the helmet from sliding around or rubbing your skin. 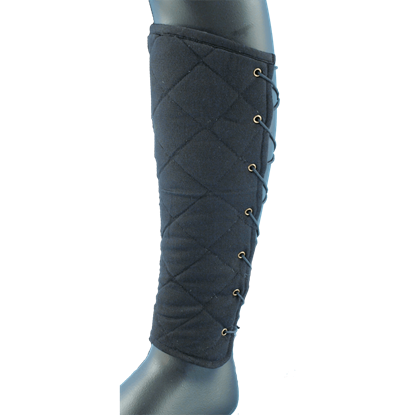 These padded greaves are great to wear under steel or leather greaves. 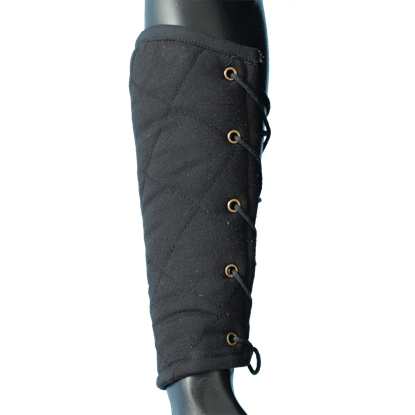 They will prevent any skin pinching and stop your greaves from sliding around. 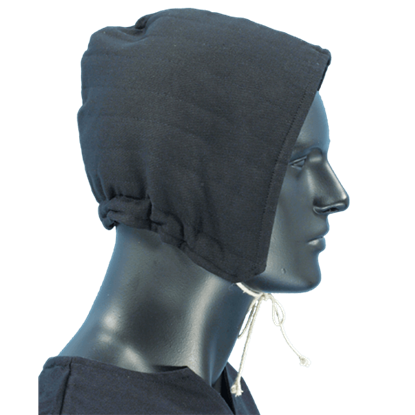 Made from padded, quilted black fabric and lace up in the back for closure. 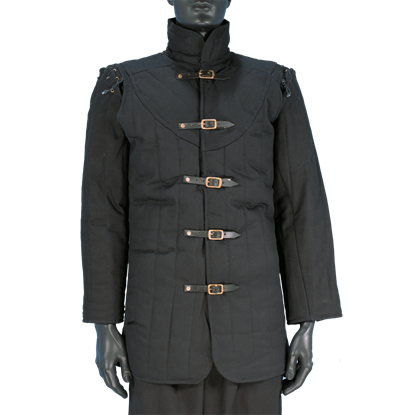 Any squire will look like they have just stepped off the battlefield whenever they wear our medieval armour! 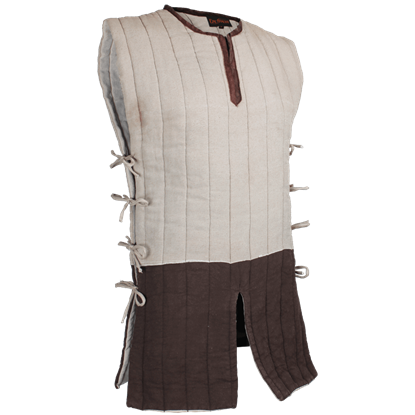 The Ready for Battle Padded Mantle wraps the neck and shoulders for increased comfort and protection when worn alone or with armour. 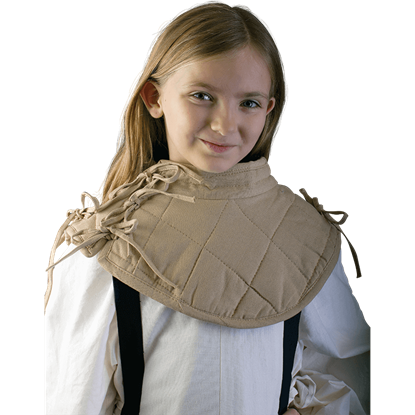 Padded armor has been in use since the dawn of time. After all, extra padding can go a long way towards helping man survive almost any encounter. 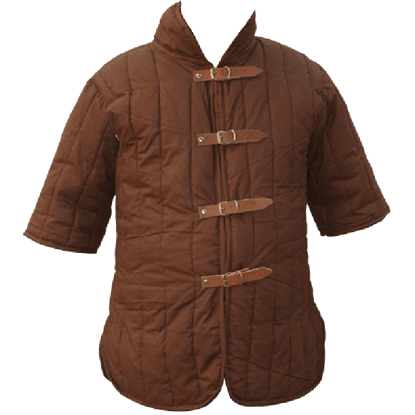 This RFB Padded Armour puts traditional padded armor in your hands to keep you safe. 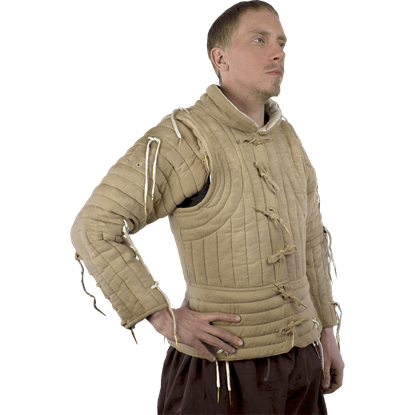 This padded gambeson is perfect for LARP, so it is better for leather armour or light steel armour. The sleeves are a half sleeve length and the underarms are designed with holes which provide ease of movement and good ventilation.